XANDRIA - The U.S. Invasion Looms Near! Here we are with another NEW interview - conducted in June 2014 - to coincide with the upcoming Xandria, Delain, and Sonata Arctica US tour (starting September 9th)! New Dutch lead singer, Dianne van Giersbergen (no relation to Anneke), took the time to talk about the band, the upcoming tour, and their new release, "Sacrificum". EA: Greetings Dianne! Eclectic Arts is based out of Seattle, WA. Have you ever been to the States (professional or personal)? If so, where have you traveled here? DvG: Hi Mark! And thank you for your time and support! I am really looking forward to crossing the Atlantic and visiting the States in September/October. Ever since Xandria visited Miami in January to board the 70.000 Tons of Metal festival I have fallen in love with your country! EA: We here in the US are looking forward to Xandria's first US tour (with Delain and Sonata Arctica)! Are you looking forward to the tour? What can US fans expect? How long will your set be? DvG: Oh yes I am looking forward to this! It will be our first US tour so we are super excited about the whole adventure. We have the honor of opening the evening every night, greeting and warming up the audience and introducing them to our music. But of course being first on the bill also means playing a shorter set, no clue yet on how long it will be. EA: You joined Xandria in October of 2013. Is that correct? If so, how did you come to join the band? Did you audition? What was the process like? DvG: Correct, in October we released the news that Manuela had decided to leave the band and that I would step in as Xandria’s new singer. Of course by then we had already set things in motion and had taken the time to get to know each other, see if we could hit it of music wise but also on a personal level. The story of me joining began when Xandria had already entered the ‘Sandlane Studio’ in the Netherlands to work with producer Joost van den Broek. Recordings had already started when Manuela announced to the band that this wans’t for her anymore. Joost was the one who at that point told the band that he might know a singer fitting the profile and able to step in on short notice. And so I got a call from Xandria’s manager, traveled to Germany to meet the guys and shortly after that began the challenge of learning the live songs and the new songs which we now know as the ‘Sacrificium’ songs. EA: With the new album, "Sacrificium", was the material already written when you joined the band? Did you have a hand in any of the vocal melodies/lyrics or was everything pretty much already set? DvG: I think you could say that all the songs were finished for 98%. When Marco and I traveled to Sascha Peath’s ‘Gate Studio’ (near Wolfsburg, Germany) we set out for 9 days of recording-marathon. In these dates we took some freedom to adjust the vocal lines to the color of my voice so that they could really blossom. But this was of course more a case of fine tuning. A process which is by the way very familiar to me: as a classical singer I am used to sing music that has not been written purely for me. Singing these and also the already written Xandria compositions is sort of a game for me where I try to and follow the instructions given by the composer as best as I can, try to reach the best vocal technical translations of the music notes and find my freedom in interpreting the songs and lyrics. Lyric wise I contributed 2 songs to the album. The lyrics to ‘Little Red Relish’ and ‘Sweet Atonement’ are written by me. EA: You have your other band Ex Libris. Please tell us more about Ex Libris and how it differs from Xandria. DvG: Yes I do! Ex Libris is my baby. I founded the band 10 years ago and since then it has developed into a symphonic progressive metal band of which I am very, very proud. The music Ex Libris composes is a combination of 5 skilled musicians sharing and mixing their talent, views and technical capabilities. I think our music is really addictive but you do need to give it a few spins to be able to reach our state of ecstasy. Xandria and Ex Libris share me as their front woman and thus the vocal sound will have its overlap and to say it plainly: the promotion pictures will show me and four men. But then you have named it all. Xandria’s music is much more composed from a set up musical view, Ex Libris’ music is born through improvisation. 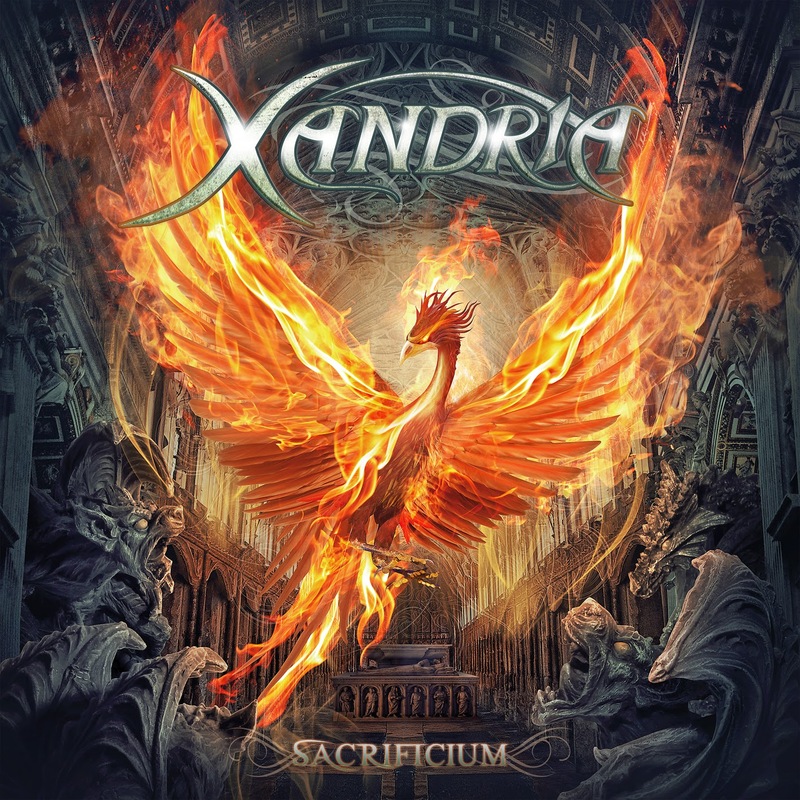 Xandria has one main composer (Marco Heubaum), Ex Libris bandmembers all represent a part of the composition. Xandria’s live shows are accompanied by taped orchestral en choir parts, Ex Libris’s live shows are 100% live. And so on. Both band represent a part of me, of who I am and being front lady of both makes me a very happy and privileged singer. EA: I read that you studied voice in college. Your website also states you are a vocal coach. What is it about the voice as an instrument that you love? What is your earlier vocal background (did you take lessons, etc)? DvG: I received my first singing lessons as a birthday present from my parents when I turned four. In the following years I was taught by various music teachers and sang in several choirs. In 2005 I started my studies in classical music at the ArtEZ school of music where I was taught by Elena Vink. On the 19th of May 2009 I rounded off my Bachelor’s with distinction and continued to study for my Master’s degree. 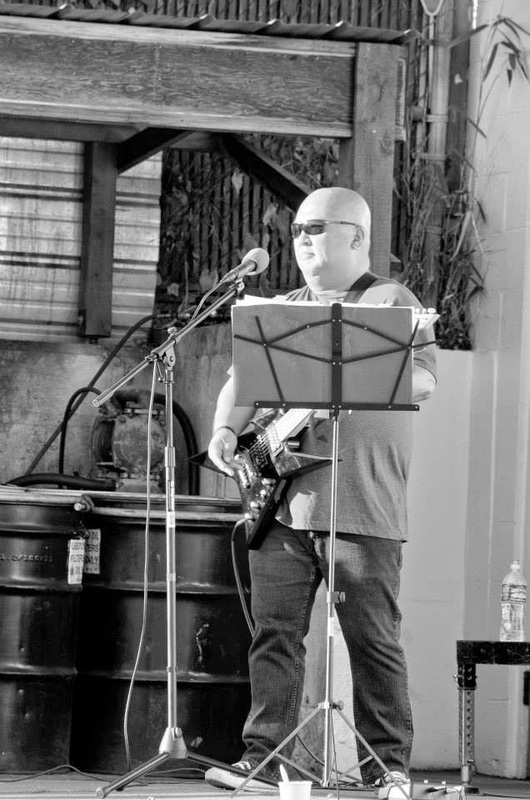 For this Master I studied how to intermingle classical music with metal music, I wrote a thesis about composing and performing within this cross-over and for my graduation recital composed a program in which I eventually fused these two genres. For me the voice has always been the perfect instrument to translate who I am. When I run out of words to vent my emotions I can just start to sing and deal with it that way. I believe that this is a gift and that’s one of the reasons why I love being a vocal coach, I think that if you have a talent that you must share it and if you can, teach it to others. EA: You've performed live with both bands. How have the recent Xandria shows gone so far? What songs in the set list do you enjoy performing the most? DvG: Every song has some special element in them. Some are technically challenging others are special because they are soothing for the voice, but I cannot say that I prefer one over the other. As for the shows: I really enjoy being on stage, having fun with the guys and sharing our party with the audience. I thinks the audience sees that we have fun because on our headline tour the response just has been overwhelming positive. EA: On a random note, is your last name (van Giersbergen) a common last name in the Netherlands (like Smith or Jackson is here in the US)? Just curious since many that like Xandria know Anneke van Giersbergen. DvG: It may be a bit more common in the South of the Netherlands where Anneke and I both come from. But us both being in this genre and having the same last name is just coincidence. EA: Who would you like to sing a duet with (from any genre)? DvG: Oooh that’s a difficult question. Well for Ex Libris I have recorded a duet with Damian Wilson(Threshold, a.o.) which was great fun. Live we have performed this duet with Valerio Recenti (My Propane) which was also great fun. I think that it doesn’t matter which whom I share the stage as long as they are up to having as much fun as I have performing. EA: Thanks so much for taking the time to talk with me Dianne. I'll be at the show in Seattle (club is called El Corazon). See you in September! DvG: Well then I look forward to seeing you at the show! And let me thank you for your time and interest in me. Your and every one’s support in me and both my bands is what makes it able for me to be the singer I am today, thank you!! Since Eclectic Arts has been "revived" with weekly new interviews, I've been getting emails and messages regarding the difference between the print VS blog, Seattle Next Door, Train Wreck, etc. So here's my attempt to demystify everything. Eclectic Arts started out as a print only magazine in 2011. I created this blog to update everyone on the progress of each issue, ordering information, etc. Due to unforeseen financial issues, after issue 3, EA the print version, went on hiatus basically. In the mean time, I was still conducting interviews, fully expecting to fix the financial situation and continue putting out new print issues. Well, that clearly never happened. I ended up sitting on a lot of great content which bothered me to no end. So the vault interviews were fully intended to be in the print version of EA. But, for now, I am releasing that content so people can finally read it. There are full transcript interviews, in depth ones, that will either go into issue 4 or on the blog. I'm leaning more and more toward putting everything out on the blog just to get all of it out there. Then whatever new interviews I do will go a fresh beginning in issue 4. So, that's the nutshell behind Eclectic Arts. Seattle Next Door - this is my photography work for the past nine years. Anything you see in EA that has the SND copyright is my work. I am a published photographer with an emphasis on model based photography. 95% of my work is model portfolios with the other 5% being the occasional senior photo, family photos, etc. Train Wreck (WA) - this is the duo Sara and I started in March of 2013 and ended in December of 2013. We did our first gig as a warm up jam, just to see how this Train Wreck thing would or wouldn't work. We played from 1-4 gigs each month of our existence. It was a lot of fun and a lot of work. With the new year, we decided to take a break, and to revisit it when it felt right. Well, it feels right as we are planning on performing again in August and September of this year. After that, we are going to play things by ear. Sara is in a terrific new soul/blues band called Little Sara and The Night Owls so she is already busy musically, let alone with her jobs. So we're looking for balance this time around with Train Wreck - that way it'll stay fun! Besides EA, SND, and TW, I hold down two jobs now - one FT, one PT. I'm still active in the beer scene here in Seattle. I attend sporting/live events when I can. And somewhere in there is a social life. Questions? Let me know. I'd be happy to answer any that you throw my way. Driven - Anneke van Giersbergen Interview! On this SeaFair Sunday here in Seattle, it is in the 80's (as it has been all week) and it's time for the next interview from the vaults. Anneke van Giersbergen is one of my favorite vocalists period. Not favorite female vocalist. Not favorite rock vocalist. Favorite period. The interview below was brief but conducted in 2012 (March to be exact). As always, everything was left in tact. Anneke is touring for her latest release, "Drive" right now (hence the title of this interview). She is also partaking in the "Sirens" tour with Liv Kristine and Kari Rueslatten! I have been a music junkie since I was a little kid. From the age of nine, seeing KISS for the first time in 1979, it was all down hill after that concert. From the ups and downs that life throws at you, music has always been there for me. One of my all time favorite vocalists, Ms. Anneke van Giersbergen, is one of those artists that I put on a pedestal. The music she created with her former band, The Gathering, helped me through some confusing and difficult times in my past. The power and beauty of her voice just transported me to a different place in my mind during my struggles. It was a release of the most needed kind at the time. For that, I am forever grateful. I was fortunate to see her with The Gathering here in Seattle, WA (the only time they ever played Seattle) before she left to pursue her own career and spend more time with her family. Anneke has been creating amazing music on her own since 2007 with her solo work and collaborations with other talented musicians and projects. EA: Greetings Anneke! Thank you so much for taking the time to do this interview. I can't express just how much this means to me. I've been a fan since 1997. I know you are out supporting your newest album, "Everything Is Changing". How are the shows going? How does it feel to be back out on the road? AvG: Thank you Mark! I’ve just completed a 15-date Dutch club tour and it was fantastic. Venues were packed and I’m very proud of my new live band. We have a lot of fun and luckily we are able to transmit that to our audience. I’m glad to be back on the road again. We’ll do a big EU-tour in May and since my son is now old enough to go on the road with us, there’s hardly any reason wanting to go home again. EA: I was just listening to "Everything Is Changing" again this afternoon. It is such a solid album. Usually there is at least one song or two that I find with any release that don't quite measure up. Not so with "Everything Is Changing". From beginning to end, the album makes such a strong statement. How do you feel about the album now that it's been out for a few months? What was the writing/recording process like for the album? AvG: I’m very happy with it. Of course I’m glad it’s doing so well, it got to #11 in the mainstream charts in The Netherlands - which is higher than I’ve ever been in my career – but way more importantly it ended up sounding the way I hoped it would do. After working with Devin Townsend a couple of times in recent years I realized I wanted to do a multi-layered album with lots of energy. I knew I wouldn’t be able to transfer my own ideas into arrangements myself without the help of a multi-instrumentalist, so I’m very glad I found Portuguese producer Daniel Cardoso who helped me writing and recording the album. I have my own studio, which is where we recorded most of the drums and vocals and I went to Portugal to work in Daniel’s studio. EA: "Everything Is Changing" has a polished sound without sacrificing the emotional nature of your music. Some of the songs are more pop oriented, while others are still very introspective. Was this intentional? What lyrical topics did you cover on the new record? AvG: I’ve tried to combine all styles that I like to listen to myself into one album. I like heavy music, but also emotional stuff and I like to dance as well, if you know what I mean. I love Madonna just as much as A Perfect Circle and somehow I think that we’ve been able to let that resonate throughout the songs. Most of the times I don’t consider myself as a story-telling lyricist. I write about myself most of the time and my own feelings. I wrote ‘My Boy’ for my son and for instance ‘Circles’ deals with the fact that some people can maintain their rock-steady characters when tragedy strucks. EA: How have you managed to strike the balance between your music career and your personal life (family, etc)? I know your husband performs with you, which obviously helps, but still it must be difficult. Does your son travel with you as well? You're a very busy woman! AvG: It’s hard and it takes a lot of planning, that’s for sure! First of all I moved to the countryside to be able to build a recording studio and to be able to store our stage equipment at home. That enables us to work at home most of the time. I quite doing long tours. It’s 2 weeks max unless I can take my son with me like the upcoming EU-tour. I take my son with me as many times as possible, but of course he has to go to school, so we have this really complicated schedule with nanny’s and so on. EA: Back in 2007, I was fortunate enough to see you perform with your old band The Gathering here in Seattle, WA at a little club. Within Temptation were also on the bill that night that you've performed with (the "Somewhere" duet with Sharon is awesome by the way). When you look back at those US shows, playing clubs and such, what stands out for you? Did you enjoy the shows? What are some of the differences between touring in the US and abroad? AvG: Well, touring the US for a niche-band is hard. Physical distances are big and transatlantic flights for band and crew are expensive. That’s the only reason I haven’t been able to return to the US as a solo artist. I have a small but strong fan base in the US, so I hope I can return in the near future and do a string of acoustic solo shows in small clubs or something. I think that would be awesome! EA: It's been five years now that you've been a solo artist. When you look back on your years with The Gathering, what comes to mind? What memories stand out (good or bad)? AvG: To be honest I’m not a person that looks back a lot, I don’t particularly enjoy watching YouTube videos with old footage or something like that. I’m all about looking forward and even more importantly the present day. However I have great memories from my time with The Gathering. Those boys are still very dear to me. AvG: The advice I would give to anybody is be yourself and look for your own voice. There’s a lot of vocal talent, you only have to watch a couple of all those talent shows to notice that, but I hear a lot of people sing like the people that they are inspired with. I love Ella Fitzgerald, but it never occurred to me to copy her phrasing and stuff. I worked as a vocal coach at the Amsterdam Conservatory for 1.5 years, but I had to quit because it was too time consuming and I couldn’t combine it with my busy schedule anymore. I loved doing it though! EA: What goals do you have for the future? Do you see yourself making music for many years to come or are you just taking it one day at a time? Are there other things you want to try outside of music? What else is coming up that the fans can look forward to? AvG: I never have a long term plan, but I am a musician and there’s not a whole lot I would like to do that’s not music-related. I would like to record another album soon and I would like it to sound more or less like my last album, but even better of course!! I’m also involved with a children’s theatre play at the moment. I co-wrote the music and I’m performing in it, so I get to do a little bit of acting, which is very fun to do. EA: Anneke thank you again for taking the time to do the interview today. I truly appreciate it! Take good care. Thanks Mark, good luck with your magazine and hope to see you in the US one day!